Stevie is a special needs kitten that doesn't know how special he is! 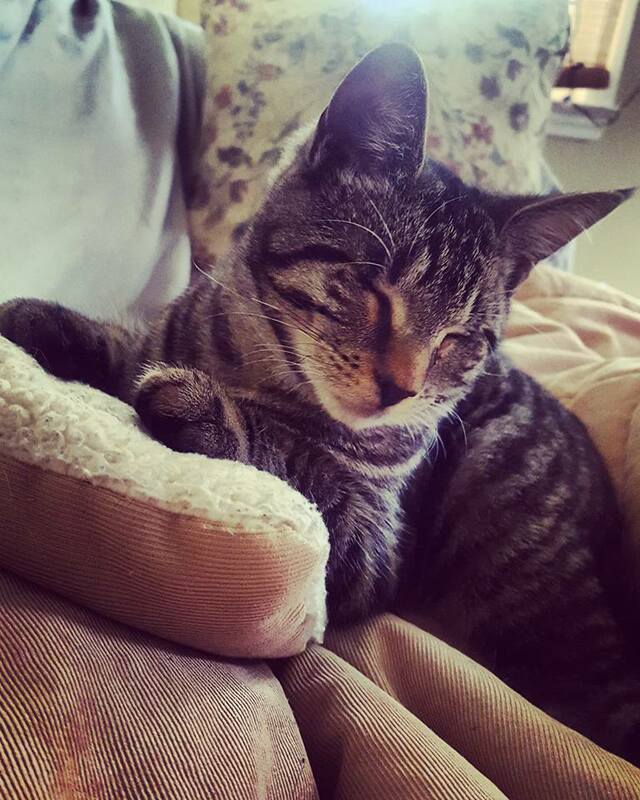 Stevie has been blind his entire life, due to a nasty upper respiratory infection that went untreated in his very early kittenhood. By the time he joined our crew at 5 weeks, his eyes were already sealed shut, and his eyeballs were regressing. Because he's never known sight, Stevie doesn't know what he's missing. And so he embraces every day with vim! He is a spunky and delightful little guy that isn't afraid of anything. He loves to play with toys that make enough noise to follow, other cats, and dogs. He's a lover, not a fighter! As soon as his eyeballs have been removed, he'll be available for adoption.